Vancouver, BC - Feb. 4, 2014 - The first month of 2014 saw home sale and listing totals outpace historical averages in the Greater Vancouver housing market. The Real Estate Board of Greater Vancouver (REBGV) reports that residential property sales in Greater Vancouver reached 1,760 on the Multiple Listing Service® (MLS®) in January 2014. This represents a 30.3 per cent increase compared to the 1,351 sales recorded in January 2013, and a 9.9 percent decline compared to the 1,953 sales in December 2013. Last month’s sales were 7.2 percent above the 10-year sales average for the month. 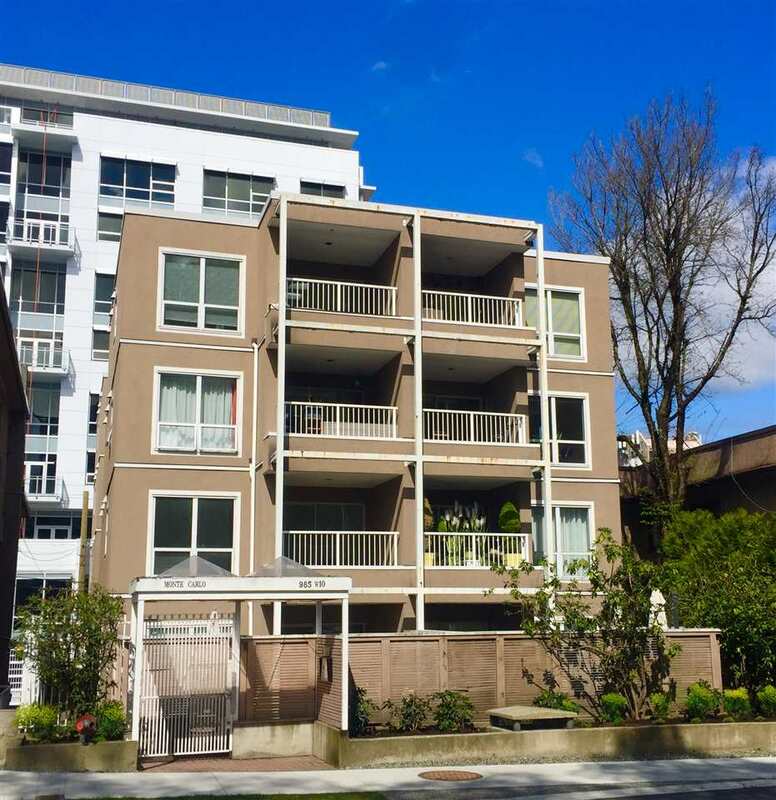 New listings for detached, attached and apartment properties in Greater Vancouver totalled 5,345 in January. This represents a 4.2 percent increase compared to the 5,128 new listings reported in January 2013. Last month’s new listing count was 17.7 percent higher than the region’s 10-year new listing average for the month. The total number of properties currently listed for sale on the Greater Vancouver MLS® is 12,602, a 4.9 percent decline compared to January 2013 and a nine percent increase compared to December 2013. The MLS® Home Price Index composite benchmark price for all residential properties in Metro Vancouver is currently $606,800. This represents a 3.2 percent increase compared to January 2013. With the sales-to-active-listings ratio at 14 percent, the region remains in balanced market territory. “If you’re looking to sell your home in a balanced market, it’s critical that your list price is reflective of current market conditions,” Wyant said. Sales of detached properties in January 2014 reached 728, an increase of 34.3 percent from the 542 detached sales recorded in January 2013, and a 10.5 percent increase from the 659 units sold in January 2012. The benchmark price for a detached property in Greater Vancouver increased 3.2 percent from January 2013 to $929,700. Sales of apartment properties reached 753 in January 2014, an increase of 30.7 percent compared to the 576 sales in January 2013, and an increase of 14.6 percent compared to the 657 sales in January 2012. The benchmark price of an apartment property increased 3.7 percent from January 2013 to $371,500. Attached property sales in January 2014 totalled 279, an increase of 19.7 percent compared to the 233 sales in January 2013, and a 6.9 percent increase from the 261 attached properties sold in January 2012. 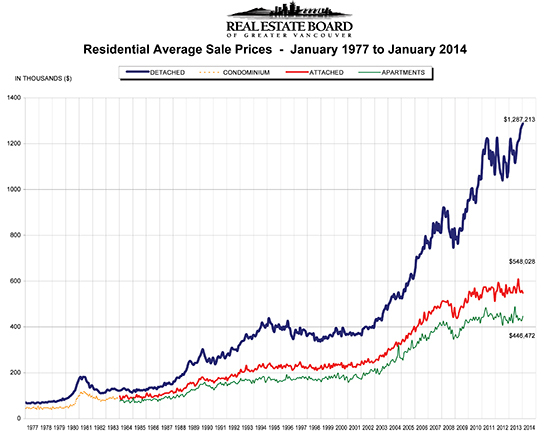 The benchmark price of an attached unit increased 1.7 percent between January 2013 and 2014 to $457,700.